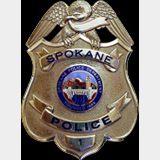 Spokane Police Ombudsman – More Power to You! People rarely think about police accountability until their city is faced with a disturbing and well-publicized incident of police misconduct. In Spokane that incident was the 2006 death of a mentally disabled man during an arrest. Community outrage came immediately, but it took two years of public debate and discussion for the City Council and Mayor to enact an ordinance creating the Office of Police Ombudsman. A little over a year ago, the City of Spokane took the next major step toward advancing police accountability by hiring its first Police Ombudsman. Initially, some activists doubted the value of the Ombudsman because the ordinance did not allow the Ombudsman to conduct his own investigations. And the activists were correct. The original ordinance allowed the Ombudsman to observe the investigations conducted by Police Internal Affairs staff and suggest additional investigation, but he could not interview witnesses on his own. Nevertheless, the Council and Mayor felt that it was important to enact an ordinance, even a weak one, to begin the process toward real accountability. In our work on police accountability across the state, we know that meaningful progress in accountability takes time and perseverance. A weak or poorly written ordinance can still provide strong oversight if the independent professional is willing to use his or her position to press the police and city leadership for thorough and objective investigations of complaints and meaningful policy change. But the activists felt that Spokane had waited long enough and appropriately pushed the City Council to give the Ombudsman more power. After several hearings and even more debate, the City Council agreed. On June 28th , the Council amended the ordinance to give the Ombudsman the ability communicate more fully with complainants and to interview non-police officer witnesses to ensure that complaints are fully investigated, though the Ombudsman investigation will not be used for officer disciplinary purposes. The measure goes to Mayor Verner for her signature. We applaud the City Council for increasing the powers of the Police Ombudsman. We hope the Mayor signs the ordinance soon. And we urge the Police Ombudsman to use his new power powers to give Spokane the quality oversight it deserves.